(Previous Page) but he never forgot the scenes of his earliest childhood, and in his novels the characters and circumstances of Anglo-Indian life vividly reappear. Mr. Jos. Sedley, the Begum, and Colonel Newcome, one of the tenderest and most beautiful characters in fiction, all—as it were—smell of bamboo and camphor trunks. On his way to England the ship touched at St. Helena, and the boy, strolling in the charge of his attendant, saw the Emperor Napoleon, an incident which was always fresh in his memory, and to which he alludes in one of his lectures upon the Georges. In London he was sent to the Charter House School, which he has described in "The Newcomes;" and went afterward to the University at Cambridge, which he left without a degree. His recollections of university life supplied him with the material of delightful chapters in "Pendennis." Soon after leaving Cambridge he came into possession of a pretty fortune of twenty thousand pounds; and to pursue his studies in Art, for which he had much love but less talent, he lived upon the Continent for several years. "Jeames's Diary" and "The Snob Papers," published in Punch, to which he was one of the most constant and the cleverest contributor, made his reputation. But "Vanity Fair," begun serially in 1847, the preface of which is dated June 28, 1848, and for which he found a publisher with difficulty, established Thackeray's position among the chief English authors. "Vanity Fair" was followed by "Pendennis" and "Henry Esmond," and by the Lectures upon the English Humorists, which were delivered in 1851, to great and delighted audiences in London and elsewhere in Great Britain, and subsequently in this country. They were, in many respects—as delivered by him—the most delightful lectures ever heard. His American visit was altogether agreeable and profitable to him. Upon his return to England he published "The Newcomes," the ripest and finest of his works, and the best novel of English society since Fielding's "Tom Jones." This was followed by the Lectures upon the Georges, which were delivered in Great Britain and in America, to which he made a second visit in 1855-'6. They were even more popular at home than the earlier series. Upon his second return to England, mindful of Addison and Prior, Thackeray was not unwilling to try his political chances, and offered himself as a liberal Parliamentary candidate for Oxford in 1857. He was defeated by a majority of 67. He immediately began the serial publication of "The Virginians," a story of English and American life during the Revolution. But his heart was clearly not in the work, and it was less successful than its predecessors. In January, 1860, the Cornhill Magazine began under his editorship. He remained in charge of it for two years, and contributed to it "Lovel the Widower," "The Adventures of Philip," and the charming essays lately collected, and the last book of Thackeray, called "The Roundabout Papers." A new novel by him was already announced in the Cornhill, but on the day before Christmas, 1863, after but a day's illness, he was found dead in his bed, not having completed his fifty-third year. We but mention here a few names and dates, which are of permanent interest and significance in English literature. Elsewhere in these pages we endeavor to say something of the character and genius of a great author, of a tender, true, and generous man. 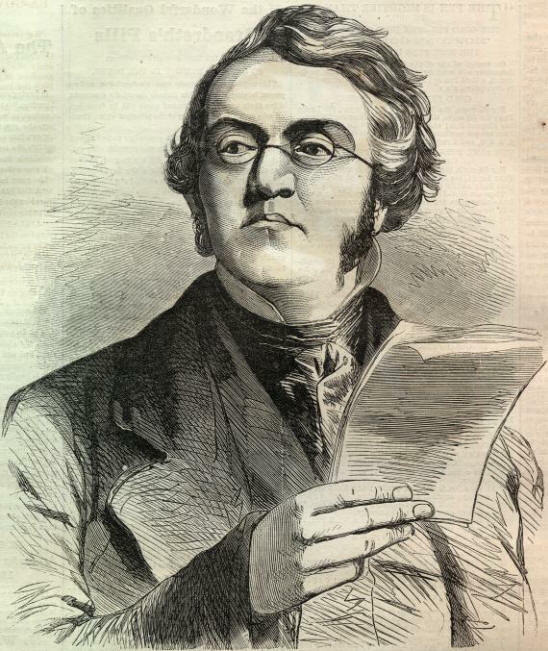 THE LATE WILLIAM MAKEPEACE THACKERAY. 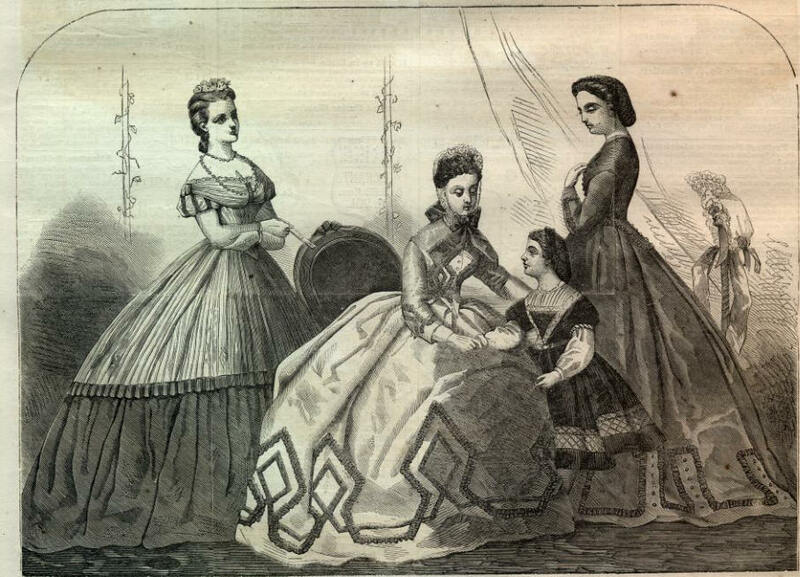 PARIS FASHIONS FOR JANUARY, 1864.